Oh Nutella. How much we love thee. My flat consumes an abnormal amount of nutella. As a tribute to this, when flatmate one was at a chocolate factory near her home in Belgium she bought us a jar of their chocolate spread. 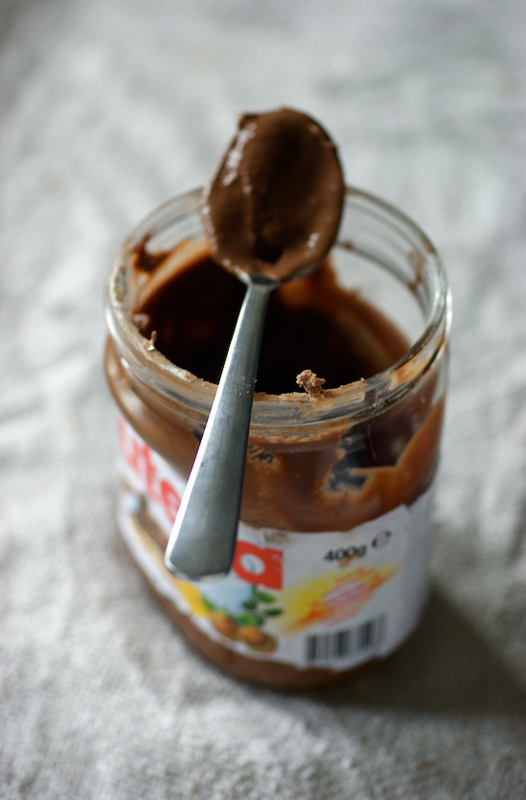 We didn't dare open the little jar of 'posh tella' and had a few jars of regular nutella instead. Then flatmate two bought a jar of sainsbury's own to see if the cheaper option was acceptable. It seemed quite obvious to me - I needed to try out one of the lovely recipes for homemade nutella, and then we needed to have a taste test. A dégustation. 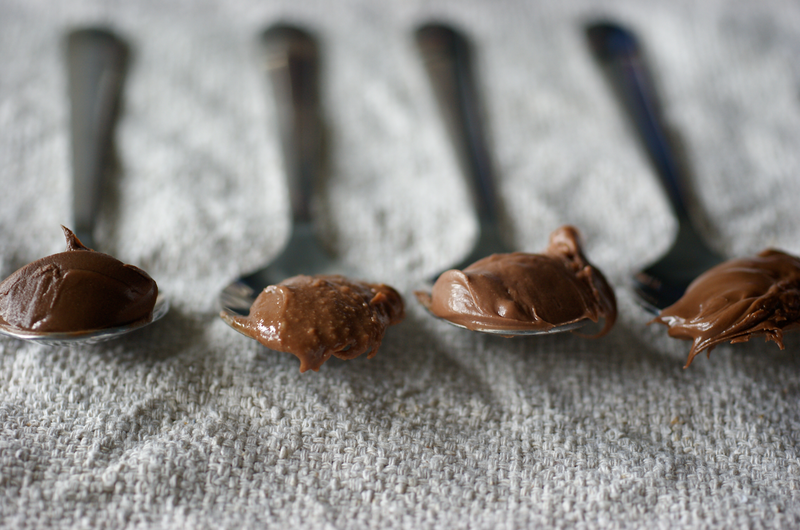 Homemade nutella is ridiculously easy to make. Just a matter of roasting nuts, de-skinning them and then a lot of pressing the 'on' button on your food processor. You could even buy the hazelnuts ready to go. It's like magic! I blasted and re-blasted mine but it never lost that slightly grainy texture. I actually think I might prefer it slightly grainy, particularly on toast. It seems pretty difficult to get that smooth spread feel with homemade. Number One was flatmate one's belgian spread. It scored 5.5/10 on average. Number Two was the classic Nutella. It got 7/10. Number Three was my homemade version. It also got 7/10. Number Four was sainsbury's Belgian Chocolate Spread. It was given 6.25/10. All in all, it was a lovely evening. I've been told that we should have a second edition with something different. Jam was a suggestion - any ideas? My favourite way to eat my homemade version so far (others include crumpets, toast, a spoon...) is squished between two digestive biscuits. I'm not entirely sure why it works, and why it works better than traditional nutella, but it does. 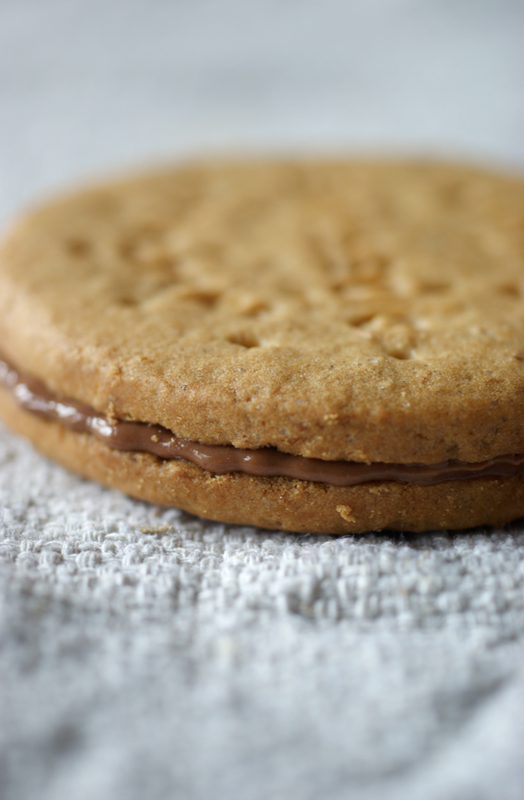 Something in the nutty flavour and texture with the crunch and taste of digestives just comes together perfectly. It can be a little dry - I recommend a cup of tea. Essay break perfection. 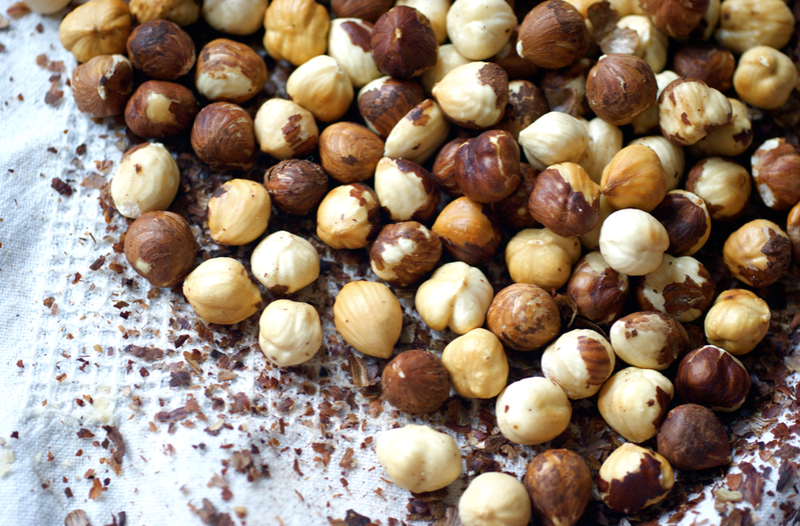 Preheat the oven to 180C and roast the hazelnuts for about 5-10 minutes, until fragrant and browned. Take out and leave to cool slightly before putting in a tea towel and rubbing vigorously to remove the skins. When they have cooled slightly place in a food processor and blend well until they become a thick paste. Add all the rest of the ingredients and keep blending until very smooth - this takes 10 minutes or so. A fun post. I'd love to try homemade Nutella. 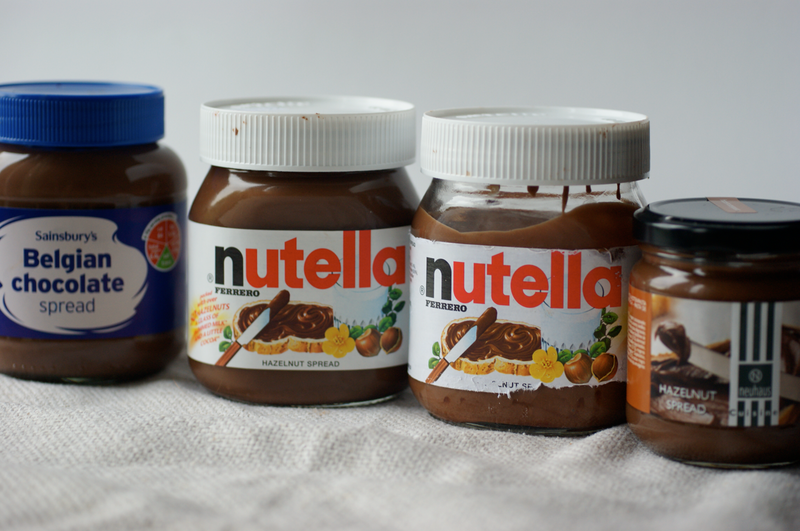 What a great idea to make your own Nutella; I am happy for you that yours scored so high! It is so delicious and your room mates will eat it up in no time, promised. Barbara - it's great - you should try it! Kirsten - that looks great! Maybe I'll use some of my homemade nutella mixed with some real nutella to make it soon. Thanks for the tip - I'll definitely try it! 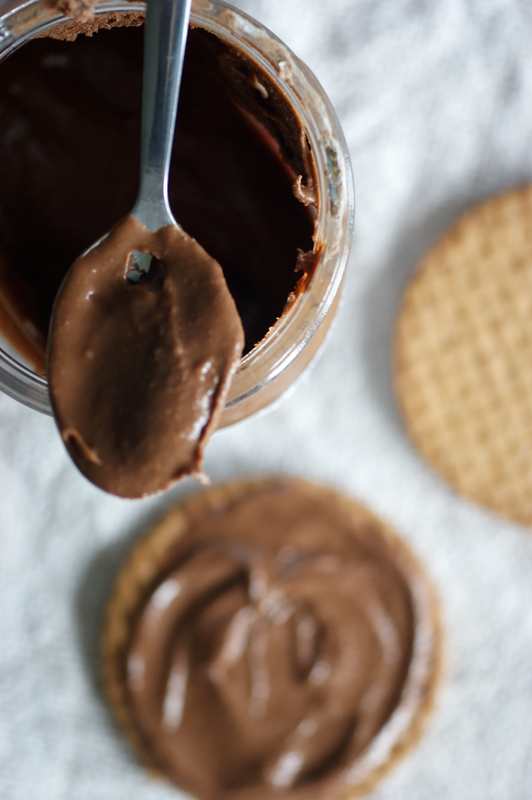 Wow, I had no idea that a nutella like spread would be so easy to make. Have you tried using other types of chocolate instead of just milk chocolate? Like maybe using some kind of candy bar? It seems like that would open up unlimited options. Awesome post, I'm going to have to share this one with my friends. The foody section in the big paper here did a taste test on jam a year ago and it was interesting. homemade vs store bought from cheap arse to not so cheap arse. I'm gobsmacked...errrrrr maybe Nutella smacked! Nom nom nom... this is such an exciting post. I love the way you did the degustation. Read somewhere ages ago of a recipe that used chickpeas to make Nutella. Must go and Google for that! Really enjoyed your post! I love nutty spreads, well..nutty! Have got to try the homemade version. Thomas: That's a good point - think of the possibilities! You could use different nuts, too. Deeba: Chickpea nutella sounds fascinating! I wonder if it works - keep me updated if you try it. Ooooooooooooooooooh! Can I please be a taste tester next time? Pretty please???? What a great idea! I'm glad your homemade version scored the highest score. Things always taste so much better when you've made it. 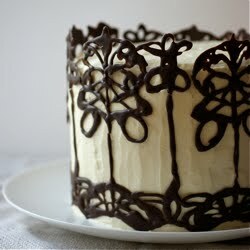 Next time you could do jam, lemon curd, cake frosting (if they make boxed frosting, which I'm sure they do!) It's a great way to spend an evening with your friends. Maybe you can test a strawberry jam; one without additions, one 'normal'storebougt, one homemade. I would be very curious if the one with the highest sugar content wins! Great idea for the taste test. That seems like so much fun. I'll have to try that sometime. Magnifique! Quelle fabuleuse idée, ça doit être divin! After a summer in Paris and all things hazelnut, American Nutella just wasn't cutting it for me (I swear they make it differently!) I just made this and..oh my gosh...it is the most fantastic thing I have ever eaten. THANK YOU for this amazing recipe! One question- do you refrigerate yours or leave it at room temp? Hi Sarah! I'm glad you enjoyed it. I always keep mine at room temp (just like normal nutella). It goes a bit hard and funny in the fridge.